Nigeria will rebase its GDP on Sunday, the statistics office said, in a move that will boost its estimated size by anything from around 40 to 70% and is almost certain to push it ahead of South Africa to become Africa’s biggest economy. The National Bureau of Statistics (NBS) will change the base year for calculating Nigeria’s GDP to 2010 from 1990 to reflect changes in the economy of Africa’s most populous nation, and more accurately assess the size of its current output. Most governments overhaul GDP calculations every few years to reflect changes in output and consumption, but Nigeria has not done so since 1990, meaning sectors such as the Internet, telephones and even the “Nollywood” film industry have had to be newly factored in to give a truer picture, sources say. When Ghana rebased in 2010, output jumped 60%. 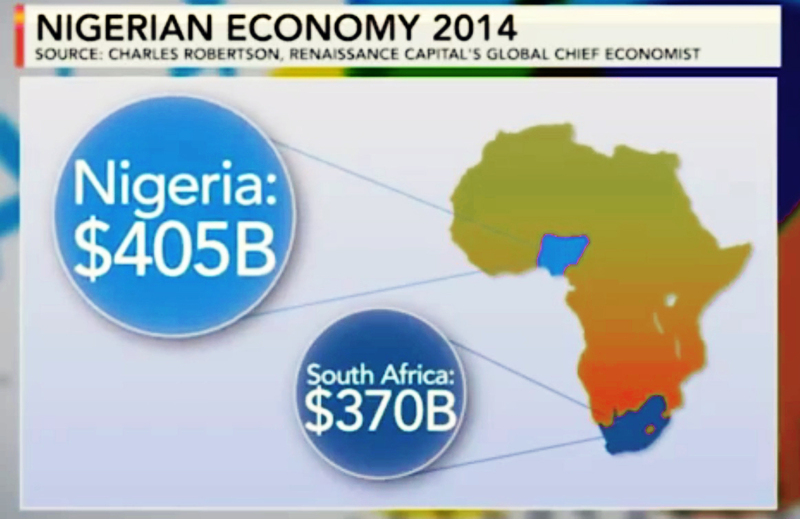 For Nigeria being the continent’s number one economy could prove an irresistible magnet for investors. Nigeria’s GDP only needs to go up by a quarter from a current IMF 2013 estimate of $292 billion to hit $365 billion, which would enable it to overtake South Africa, currently estimated by the fund at $353 billion. “The impact of a rebasing would likely have a positive impact on perceptions … this would come at time when most investors are fairly downbeat on South Africa,” because of its high combined fiscal and current account deficit, London-based economist for CSL Stockbrokers, Alan Cameron, said. 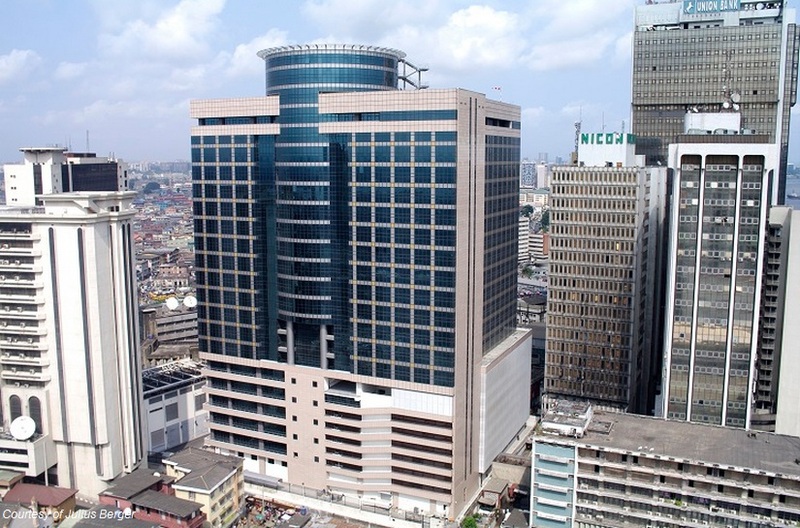 “The globe is still looking at the next strong growth story outside China and India, and Africa is on their minds,” said Abri Du Plessis, chief investment officer at Gryphon Asset Management, which has investments in Nigeria. It is already a growing market for consumer goods firms like Nestle, Heineken, Cadbury and Unilever, as well as construction material firms like Lafarge and Dangote Cement, owned by Africa’s richest man Aliko Dangote. Much increased interest would be in manufacturing and service companies, which could further help Africa’s top oil producer move away from its over-reliance on the black stuff. It certainly won’t be the wonder cure for Nigeria’s economic ills. For one thing, being bigger means expansion will slow. “The rebasing exercise will result in an increase in the country’s market size, but it is likely to lead to a slower rate of real GDP growth,” said Ecobank economist Gaimin Nonyane, from its current rate of 7% for the past five years. It will be mixed for Nigeria’s fiscal stance as well, improving the debt-to-GDP ratio, currently less than 20%, but expose a weaker tax base, so debt investors won’t be moved. “Fixed income investors will probably not pay much attention to the GDP dynamics,” said Standard Bank’s Samir Gadio. Despite roaring growth in recent years and a bigger GDP, Nigeria will continue to trail South Africa in terms of basic infrastructure – power and roads – necessary to lift the bulk of its population of 170 million out of absolute poverty. And its legendary dysfunction – abysmal telephone and Internet quality, clogged roads, ports and airports, obstructive police and reliance on diesel generators for most of its power – mean it won’t be replacing South Africa as a hub very soon. “South Africa is going to stay the entry point for funds into Africa. I don’t think (it will move to) Nigeria,” Rigaardt Maartens, a portfolio manager at PSG Online Securities, said.